Real Madrid extended their perfect record in the UEFA Champions League this season, by achieving their 5th win out of 5 games, this time with a 6-2 victory over Dinamo Zagreb. 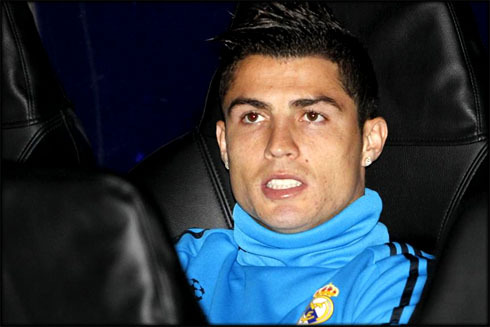 Cristiano Ronaldo didn't play on this match, since José Mourinho decided to give the team's key player some rest, just a few days from this weekend's clash, against Atletico Madrid. With the qualification already assured for the last-16 stage, José Mourinho decided to rotate his team and gave Cristiano Ronaldo some rest in last night's match, for the UEFA Champions League. Without the Portuguese forward on the line-up, Real Madrid kept their goalscoring saga and demolished Dinamo Zagreb by a clear 6-2 win, in the Santiago Bernabéu. The German midfielder, Nuri Sahin, made his Real Madrid debut in the UEFA Champions League, playing alongside with Xabi Alonso. Callejón was called to replace Cristiano Ronaldo and scored 2 goals (6', 49'), together with Benzema (2', 66'), Higuaín (9') and Ozil (20'). The "Merengues" now have 5 games and 5 wins in Group D.
Real Madrid started tonight's match in full gear, crushing any hopes that Dinamo Zagreb could have of bringing a positive result from the Santiago Bernabéu. The "Merengues" scored 3 goals still before the 10th minute mark and the first was obtained by Karim Benzema, around the 2nd minute of the game, after being assisted by Mesut Ozil. The second would come up just 4 minutes after, in a classic counter-attack play, finished by Callejón. The third goal took place in the 9th minute, when Higuaín showed his world-class ability after dribbling one opponent and chopping the ball over Dinamo Zagreb's goalkeeper. The Merengues were playing well and creating many chances, so it was just a matter of time until the 4th goal happened. Near the 20th minute, Mesut Ozil was keen to seize the opportunity of a rebound, after a good strike by Gonzalo Higuaín and put the scoreline in 4-0, which would remain untouched until the half-time. With the qualification already assured, as well as the victory on this match, José Mourinho decided to keep Cristiano Ronaldo on the bench and sent in Altintop, Granero and Raul Albiol, right after the break. Callejón would score his second of the night around the 49th minute, proving to Mourinho that he can also be a valuable asset in more competitive games, whenever it may be needed. The game slowed down significantly when compared to the first half, but the Merengues would still find the back of the net once more, near the 66th minute, in a good combination play between Higuaín and Benzema, from which the French scored his brace tonight, overcoming Cristiano Ronaldo as the team's top goalscorer in the UEFA Champions League with 4 goals, against 3 from CR7. However, Dinamo Zagreb would still find some glory on this match and the Croatians managed to score 2 goals in the last 10 minutes of the game, in a period where Real Madrid players were already counting the minutes for the game to end, leaving enough room for mistakes. 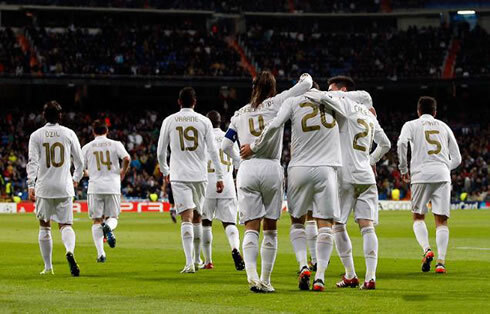 With this 6-2 win over Dinamo Zagreb, Real Madrid will now focus at the Spanish League "La Liga". The Merengues will face Atletico Madrid in the Santiago Bernabéu this Saturday and after José Mourinho's decision to rest Cristiano Ronaldo against Dinamo Zagreb, it's very likely that the Portuguese forward will be on the line-up and ready to help the team beating their city rivals. Real Madrid keeps preserving a 3-point lead over Barcelona and with the "El Clasico" between the two clubs scheduled for the 10th of December, there's little room for mistakes. Real Madrid next match is against Atletico Madrid, for the Spanish League "La Liga", this Saturday (26-11-2011). However, and before this weekend's agenda, you can watch Bayer Leverkusen vs Chelsea this Wednesday, as well as Arsenal vs Borussia Dortmund and also Milan vs Barcelona clash, all available from our soccer live streams. Even though Cristiano Ronaldo missed Real Madrid last match, he is not injured and he should be a starter against Atletico Madrid.